Bill C-6, an Act to amend the Citizenship Act and make consequential amendments to another Act, received Royal Assent on June 19, 2017. This resulted in several changes to the Citizenship Act over the past year. These changes have and will continue to have a significant impact on individuals seeking Canadian citizenship. This article summarizes some of the recent changes to the Citizenship Act and their potential impact on foreign nationals who desire Canadian citizenship. In order to become a Canadian citizen, a foreign national must first be granted permanent resident status. Permanent residence status can be granted through a variety of programs that aim at maximizing a foreign national’s economic, social and cultural contribution to Canada. Once a foreign national has permanent resident status, he or she must meet a series of requirements to become eligible to apply for Canadian citizenship. Permanent residents applying for citizenship must now be physically present in Canada for three years during the five years immediately preceding the application for citizenship. To determine whether they meet this requirement, permanent residents must count the days they are physically present in Canada. Each day they are in Canada with permanent residence status counts as a full day toward the physical presence requirement, while days spent in Canada as a protected person or temporary resident, prior to having permanent residence, only count as half days, up to a maximum of one year. Time spent outside of Canada while holding permanent residence does not count toward the physical presence requirement for citizenship purposes. Further, time spent in Canada while imprisoned, on parole or on probation also does not count toward this requirement. Previously, applicants had to be physically present in Canada for four years during the six years immediately preceding applying for citizenship. Additionally, during each of these four years applicants had to be in Canada for a minimum of 183 days, and only days spent as a permanent residence were counted toward the physical presence requirement. These changes have resulted in the ability for a permanent resident to qualify for Canadian citizenship more quickly, reducing the amount of time an individual must wait before applying for citizenship. Citizenship applicants must have been paying personal income taxes, if obligated to do so under the Income Tax Act, for three of the five years preceding their citizenship applications. This requirement applies regardless of age. Previously, applicants had to pay income taxes for four of the six years preceding their citizenship applications. An individual applying for Canadian citizenship must have an adequate knowledge of either French or English and must demonstrate he or she can speak and comprehend one of these languages. Proficiency in English or French is assessed through an interview with a citizenship officer. An individual must also be able to demonstrate in English or French that he or she has an adequate knowledge of Canada and of the responsibilities and privileges of citizenship. The knowledge component requires applicants to write a test demonstrating their knowledge of Canada’s values, history, symbols and institutions as well as the rights, responsibilities and privileges of citizenship. Currently, only individuals between the ages of 18 and 54 are required to meet these language and knowledge requirements. Applicants outside this age range do not need to satisfy any language or knowledge requirements. Previously, applicants aged 14 to 64 had to satisfy this requirement. Even when the first three requirements are satisfied, there are certain situations where an applicant may be ineligible for citizenship. Applicants are ineligible for citizenship if they are serving a prison sentence, are on parole or are on probation in Canada or abroad. Applicants are also ineligible if they are charged with, on trial for or involved in an appeal of an indictable offence in Canada or an equivalent offence abroad. 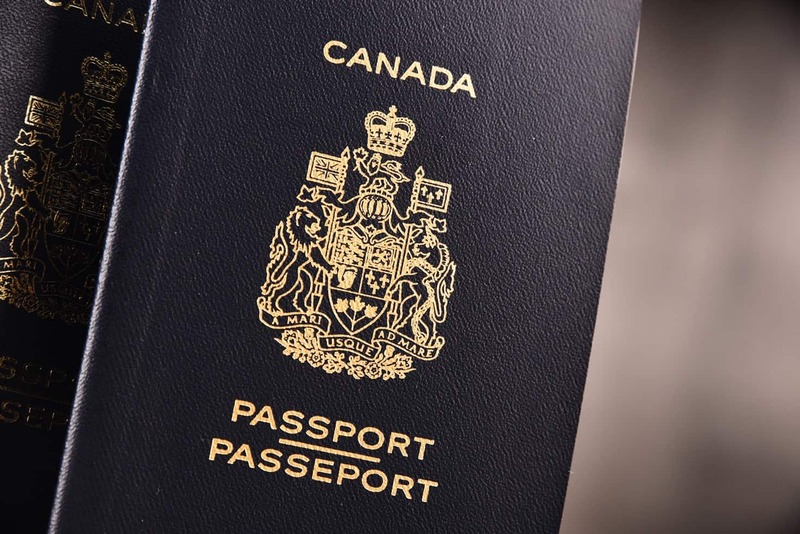 Applicants are ineligible for citizenship if they have been convicted in the past four years of an indictable offence in Canada or an equivalent offence abroad. If citizenship applicants satisfy the above requirements, and avoid conduct which would make them ineligible, they may apply for Canadian citizenship. These changes to the Citizenship Act ensure permanent residents can move more efficiently, and with fewer barriers, through the process of becoming Canadian citizens. MLT Aikins has significant experience advising clients on Canadian immigration, including citizenship. Our lawyers in this practice area would be pleased to discuss your Canadian immigration. Temporary residents are persons who enter Canada as visitors, students, workers and/or persons who hold a temporary resident permit.